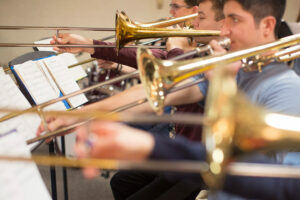 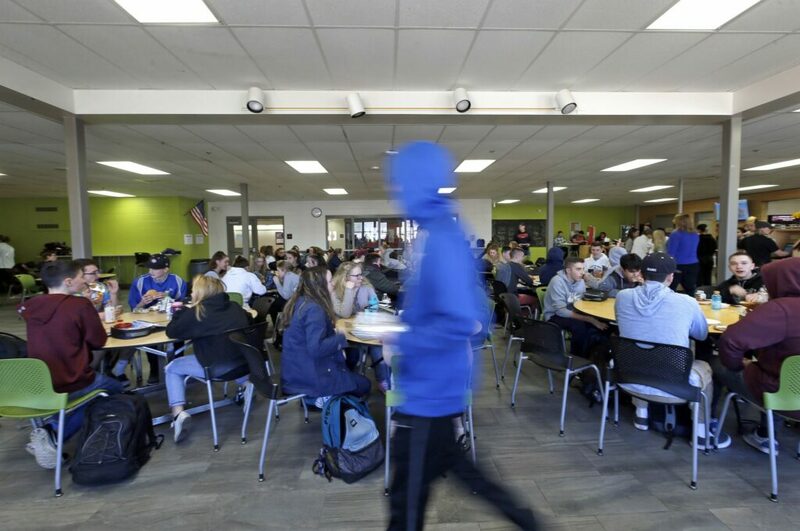 Students fill the cafeteria Thursday at Gorham High School. 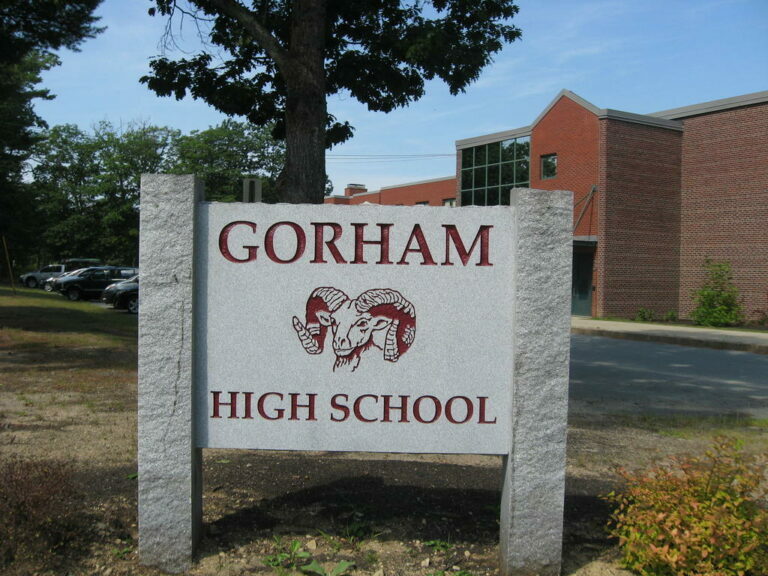 Overcrowding is an issue at Gorham High School. 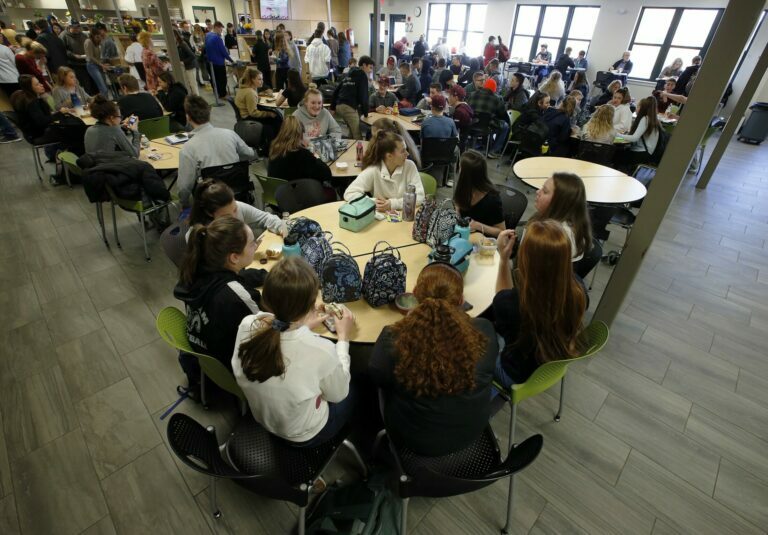 Gorham High School freshmen Emma Mullin, left, and Megan Wentworth listen to a song on shared earbuds while eating lunch in a corridor of Gorham High School. 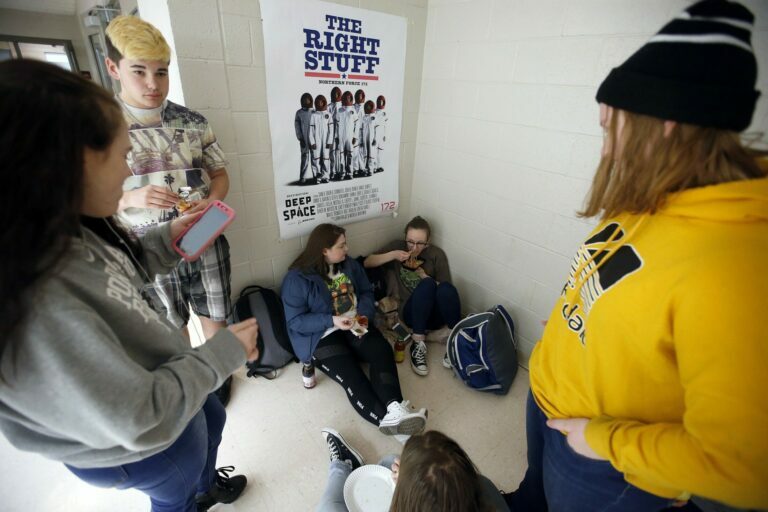 Gorham High School juniors Zoe Larson, left, and Kaitlyn Crockett eat on the floor in a hallway of Gorham High School. Students eat on the floor in a corridor of Gorham High School where overcrowding is an issue.